Congratulations, you have successfully landed a job! You were on cloud nine, you felt all was well with the world, and suddenly here you are.. feeling so nervous to start your first day of working. People tend to say, the beginning is always the hardest, but do you know that, success is the result of preparation, hard work, and learning from failure? All you need to do is to plan on how to navigate your first year of working. 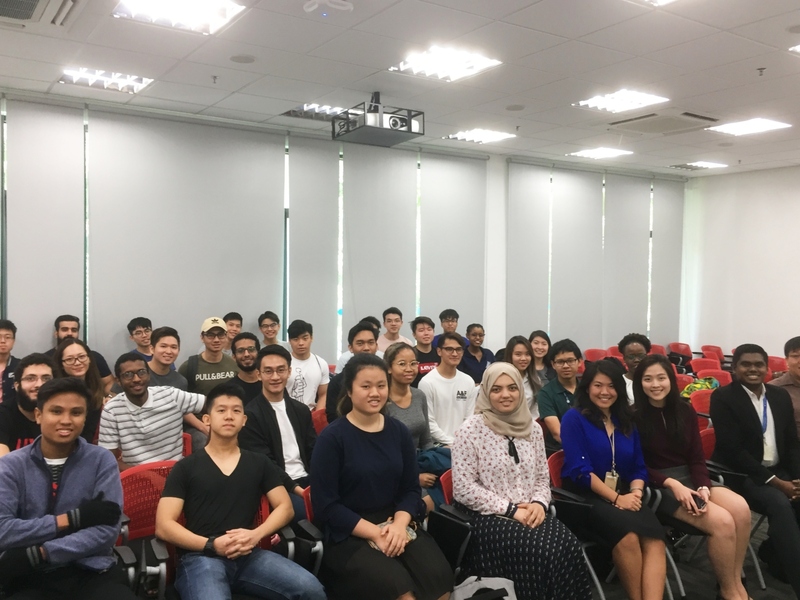 The second workshop of “A Step Ahead with Citi” series that was conducted on November 21, provided an opportunity for the students to learn firsthand from Citibank young talents who successfully navigate their first year at work – Ms. Angela Gan who is an alumnus of UNM, and Ms. Charmaine Chee. Both of them joined Citibank in 2017 and successfully delivered key projects and initiatives within one year working in the company. 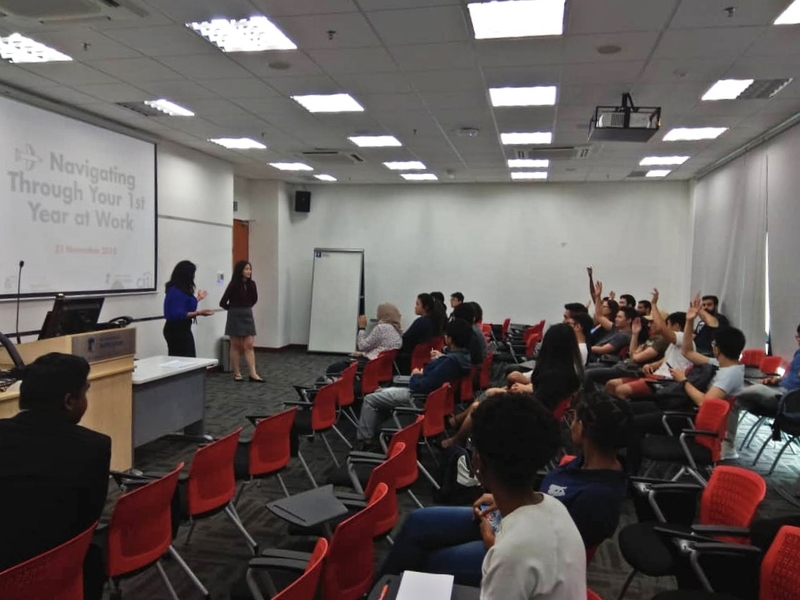 Through the reflection from their experience, they shared on how to learn the intricacies of stakeholder management, importance of being resourceful, managing expectations and establishing oneself as a junior talent. Q: Does Citibank only accept Business/Banking graduates? A: No, Citi opens to many disciplines. Citi is committed to recruit the very best diverse talent for entry-level opportunities through our early identification and development programs. For example, Angela is a Finance, Accounting and Management graduate, meanwhile Charmaine is a degree holder in Chemical Engineering with Energy and Environment. Both have different roles – Angela as a Securities Services Operations (SSO) Analyst, and Charmaine as an Operations and Technology Management Associate. Q: Any advice for introverts to build networks? A: Try to approach at least 2 people who are important in your career journey and progression. Have courage and build connection with at least these 2 people first. Then, you may slowly expand your network by time. Q: Any advice if I want to go for holiday break first before searching for job? A: It’s better if you start applying for job before you go for holiday break. You may put your availability or starting date in your resume so that the recruiters will know the suitable period to hire you. Q: Do you have any tips for fresh graduates who want to work at Citibank? A: Always take initiatives and keep asking questions during your first year of working, because that is your honeymoon period to not be afraid making mistakes. By learning from our mistakes, we will become better! Be resourceful and open your mind to learn new things everyday. Show your passion and be brave to accept new challenges. In Citibank, we are practising open communication and being supportive towards each other. We can talk to our superiors if we face difficulties and this kind of bond helps us to move forward and do better in future. Always, always try to give your best! Careers Advisory Service would like to thank everyone that participated in the event and we hope that this event benefited the students. Stay tuned for the next series of Citi workshop and follow our Facebook page to stay updated!